In these Terms and Conditions, ‘us’ ‘we’ or ‘our’ means EZswitch Pty Ltd ABN 71624597208. You confirm your acceptance of these Terms and Conditions when you use our website, mobile application, social sites or you send us your bill by email, mail or fax. If you do not accept these Terms and Conditions, then please do not use our website, mobile application, social sites or send us your bill by email, mail or fax. Responsible for the energy bill at their premises. When you use our Service we won’t disclose your personal information to any third-party without your consent, but we may disclose your suburb, consumption history, and metering type to our partners. To use our Service, simply upload or email, post or fax a copy of your most recent electricity or gas invoice. The invoice you send us must be clearly readable, and both sides (and all pages) must be provided. If we can find you an offer that is likely to be better than your current plan, we will send that offer to you. To ensure your energy plan is competitive, we will conduct a reassessment of your plan every 12-months or whenever we believe your plan rates have increased compared to the general market rates. We do not warrant that our Service is comprehensive. Our analysis is limited to a number of factors, as set out below. The time required to update our systems after we become aware of closed or new energy retailers. We recommend plans based on our Comparison Policy which is documented in our Frequently Asked Questions in the section titled “How do we find competitive offers for you?”. The recommendations that we forward to you will only be from those retailers that we have a contractual relationship with. We will receive fee payments from a third-party retailer if you use their services as a result of an introduction we make or information we provide to that retailer. Our Service does not constitute financial advice. Any calculated saving or other figure is an estimate only. The amount you will actually pay will depend on your actual consumption, consumption profile, and the plan you are on. 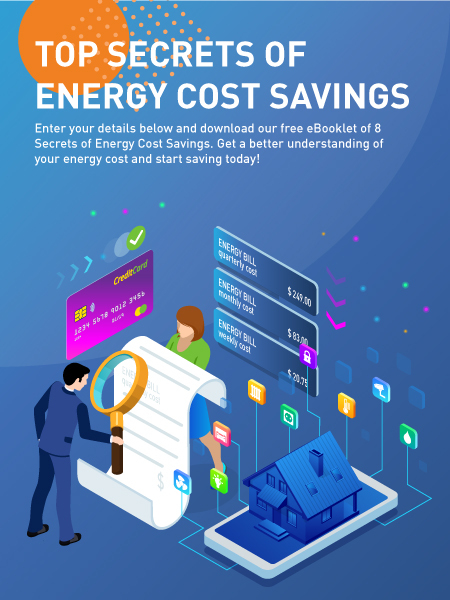 Please note that an offer made by an energy retailer to you may be subject to conditions including that you have a particular metering type and that you pass the third-party retailer’s credit assessment guidelines. Please note that your existing energy contract may include termination fees which you may incur should you accept an offer sent by us. ● Access your information held by electricity providers. We may change this agreement from time to time by giving you notice of no less than 20 business days’ notice in advance of the changes. If you do not accept the changes, then you can terminate this agreement with us. Either party can terminate this agreement at any time by notifying the other party by email, post or telephone and such termination will take effect no later than 5 business days following the receipt of such notice. Nothing in these terms and conditions limit, exclude or modify or purports to limit, exclude or modify the statutory consumer guarantees as provided under the Competition and Consumer Act 2010 (Cth), as well as any other implied warranties under the Australian and Securities and Investment Commission Act 2001 or similar consumer protection laws in the State and Territories of Australia (‘Non-Excludable Guarantees’). acceptance of a third-party quote.